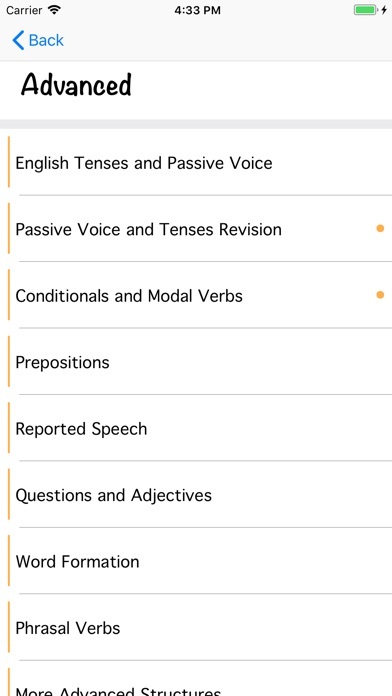 If you want to improve your English grammar greatly, this application is for you. 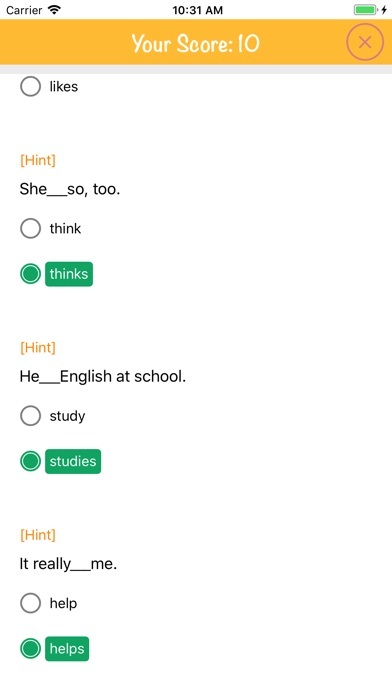 Doing these tests with explanations, you can improve your grammar from Basic to Advanced - free. You will not see only tests. 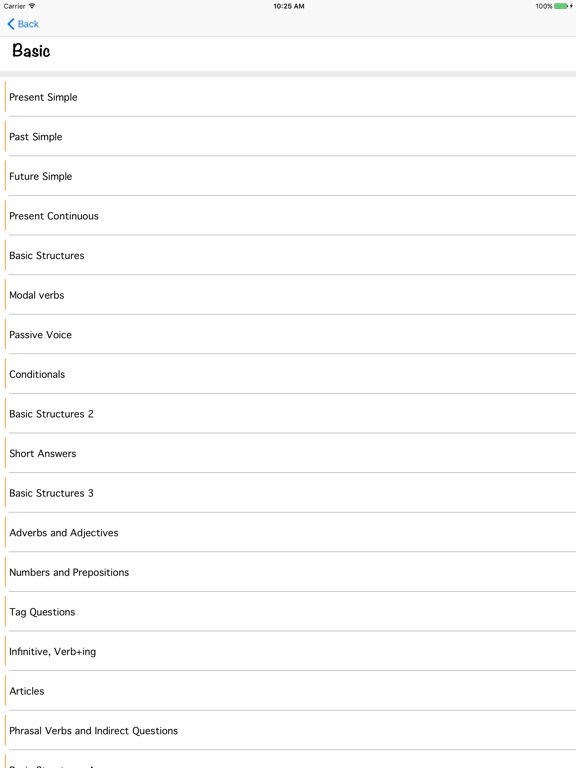 You will also see explanations for each test. It will help you to understand your weak points and improve your knowledge greatly. It's for all levels - Beginner, Elementary, Pre-Intermediate, Intermediate, Upper-Intermediate, Advanced. 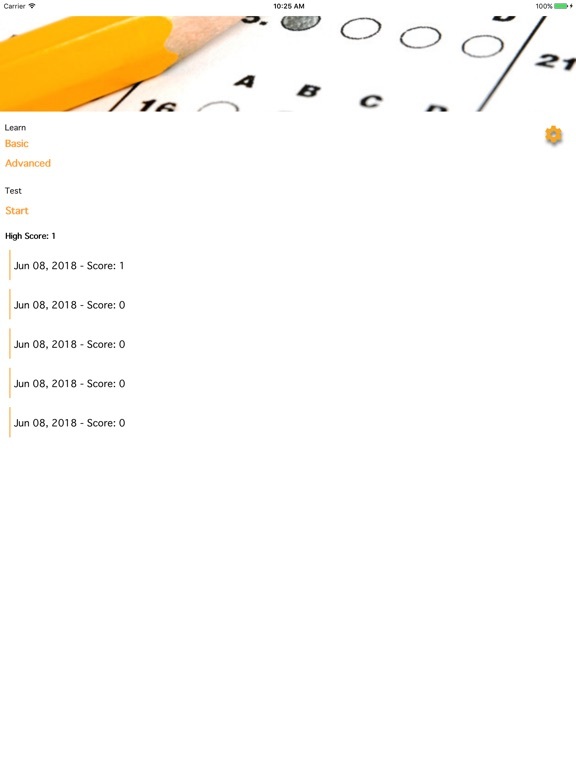 You will learn English grammar step by step (from simple topics to more difficult ones). 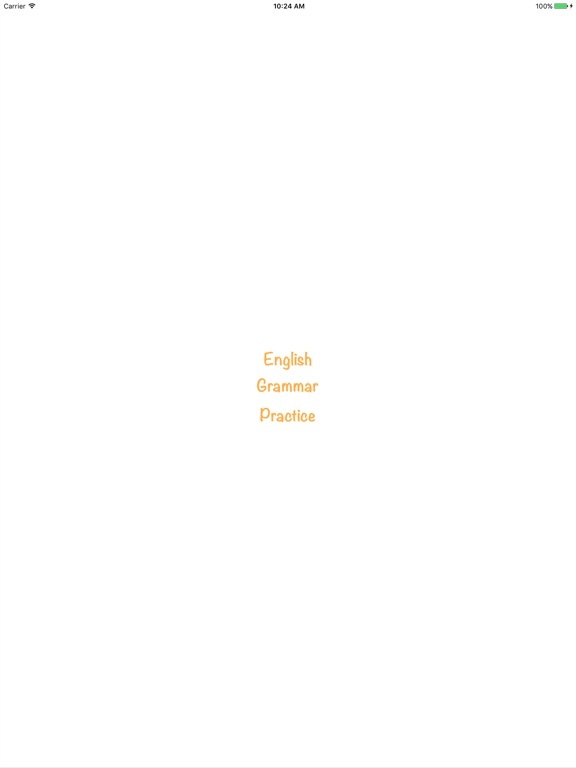 It’s a full English grammar course (the most complete version with all English grammar aspects you need to know). 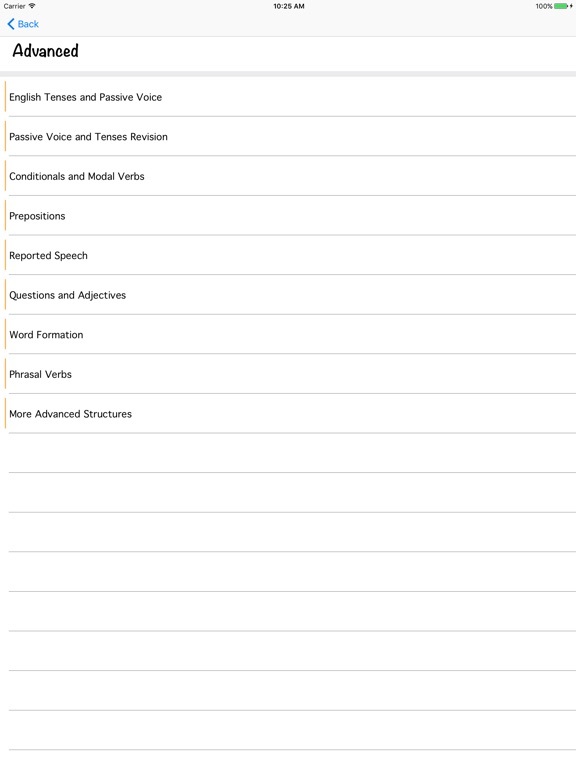 There are 10 tests in each topic with explanations and 15 in the last topic. 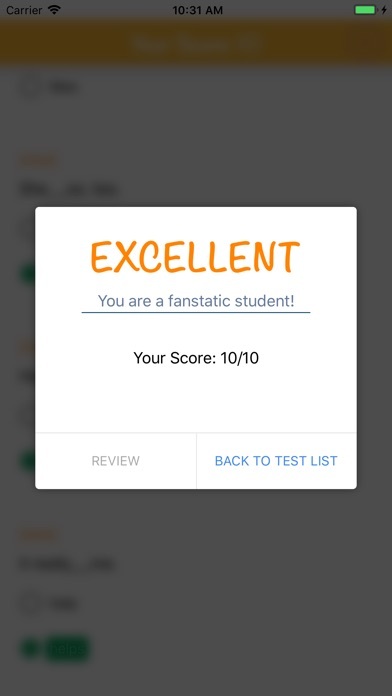 You will be doing tests and studying at the same time (with the help of the explanations). 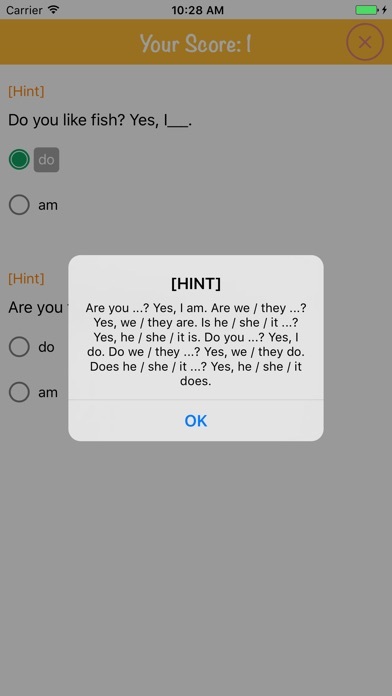 It’s a very intensive and effective English grammar practice. It’s perfect for self-study. 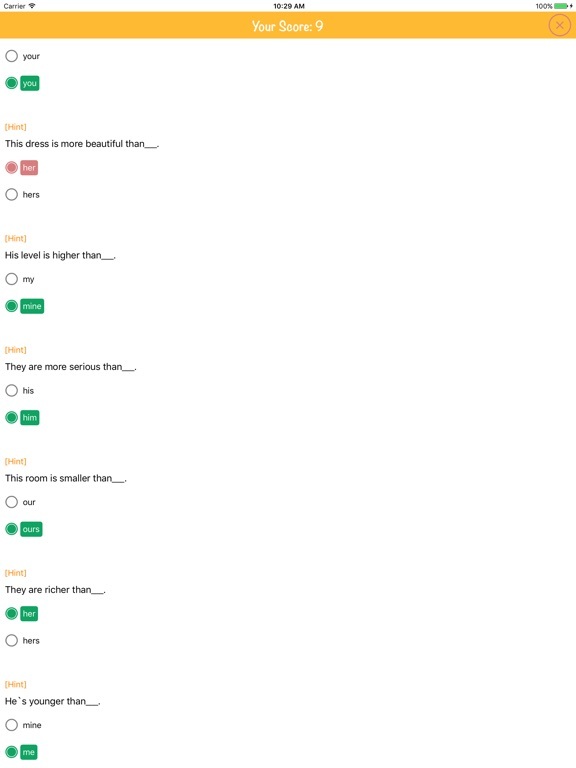 For more practice, you can do these tests as many times as you need (the tasks will be in a new order again and again). 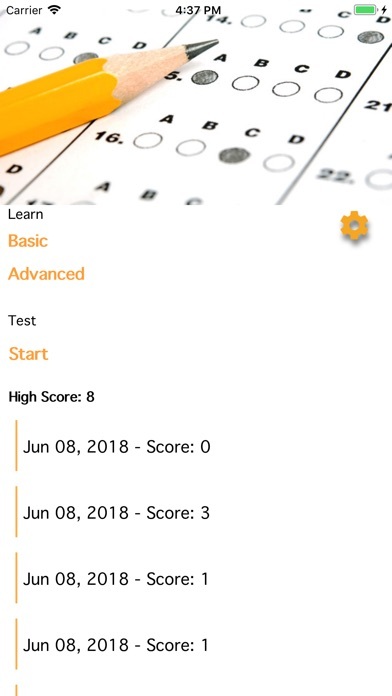 There are also big tests (mixed tests) on different subjects which help you to memorize and practice everything more effectively to get the maximum result. - Fix bug display on UI.